The Kings of Europe head into the World Cup finals full of confidence; partly because they are fresh off the back of winning a major European trophy, but mostly because they have one of the most dapper-looking home and away kits of any team heading to Russia. 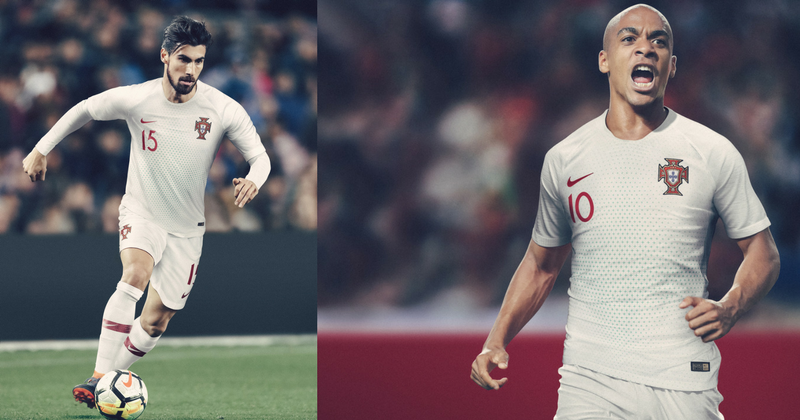 Nike’s underwhelming England kit gets pushed even further to the back of the mind after the release of these new Portugal football kits. The iconic red and green of Portugal returns- along with a new collection inspired by their continental title from France almost two years ago. The home kits have a rich and regal gold trim design, honouring the achievements of the current European champions. 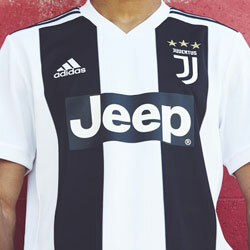 The gold trim is said to demonstrate the bond between the ‘iconic characters who have led and united the squad’, mainly the man of the moment: Cristiano Ronaldo. The concept for the home kit is modern royalty (we bet Ronaldo loves that). Ronaldo is Portugal’s hero, and the kit helps tell the modern story of the footballing king leading this new team. Released on the same day as the stunning CR7 Chapter 6 ‘Born Leader’ Mercurial boots, it’s not hard to see Nike are really taking the time to pay homage to Ronaldo’s leadership skills. 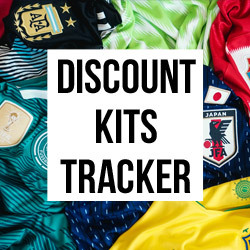 Whilst the home kit honours iconic players like Ronaldo and Luis Figo, the away strip is here to represent the emergence of new players such as Andre Silva, Andre Gomes, and Joao Mario. The away strip’s elegant and retro simplicity is brought about by the small green crosses that grow towards the centre of the flooded white shirt. 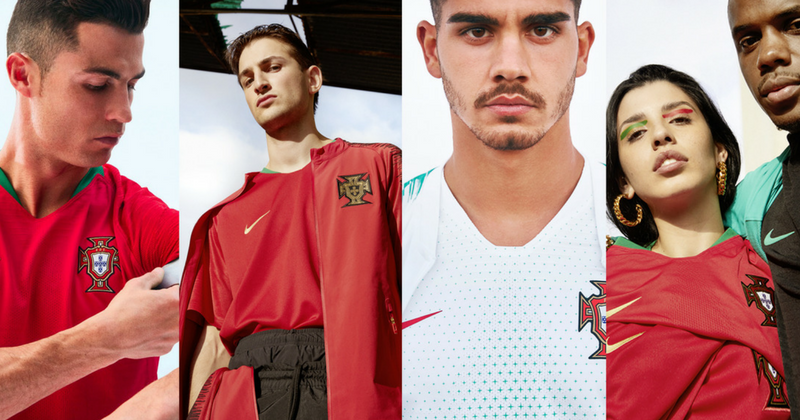 The design stems from Portugal’s history of discovery; something that drives the national team now with the emergence of fresh blood and young talent who will become the next starts of the national team. 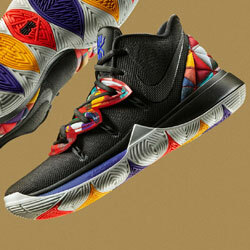 • Engineered yarns on the sleeves contribute to the speed aesthetic. 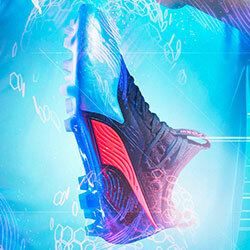 • Vaporknit, a highly engineered body-mapped fabric, supports increased airflow and built-in ribs help reduce clinging. • Open-hole texture on the chest and back for breathability in optimal heat and sweat map areas. 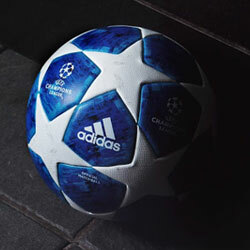 • High-tech crest is 64% lighter and the most breathable ever. 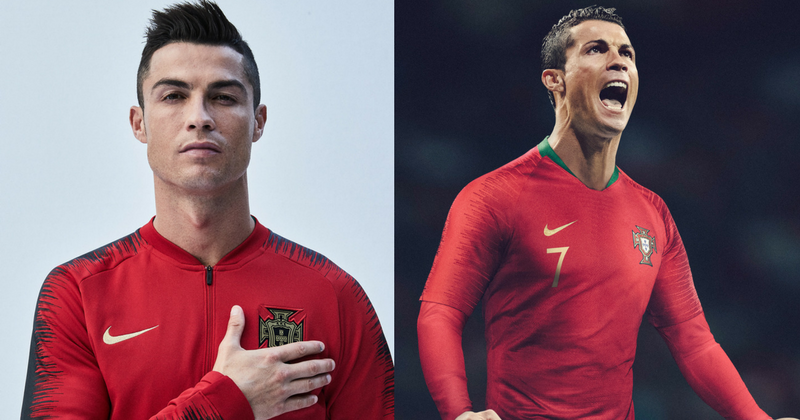 The Portugal home and away football kits are available from Nike.com now. Let us know what you think of the new look in the comments below!